If you're anything like me, you'll probably have a bunch of clothes in your wardrobe that, for one reason or another, never see the light of today. Maybe they've just been forgotten about or perhaps they've never even left your bedroom in the first place. 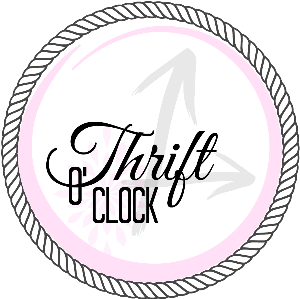 Today I want to share a few tips that should help you get more from your wardrobe - plus I have something to giveaway! Before you do anything, you have to completely re-evaluate every item of clothing you have. I've heard a lot of bloggers rave about that Marie Kondo tidying book and although I personally haven't read it, from what people say about it I've learnt that it's important to only keep the things that bring you joy. Having too many clothes can actually stop you from wearing what you want to because you can't easily see what you have! I had a clear out recently based on that 'only if if brings you joy' motto and I freed up so much space in my wardrobe. Be brutal! Although I can't lie, I still hold onto a Michael Jackson t-shirt from years ago that doesn't fit me anymore because he's my favourite - it would be wrong to be that brutal. Think carefully about what you actually feel comfortable in. 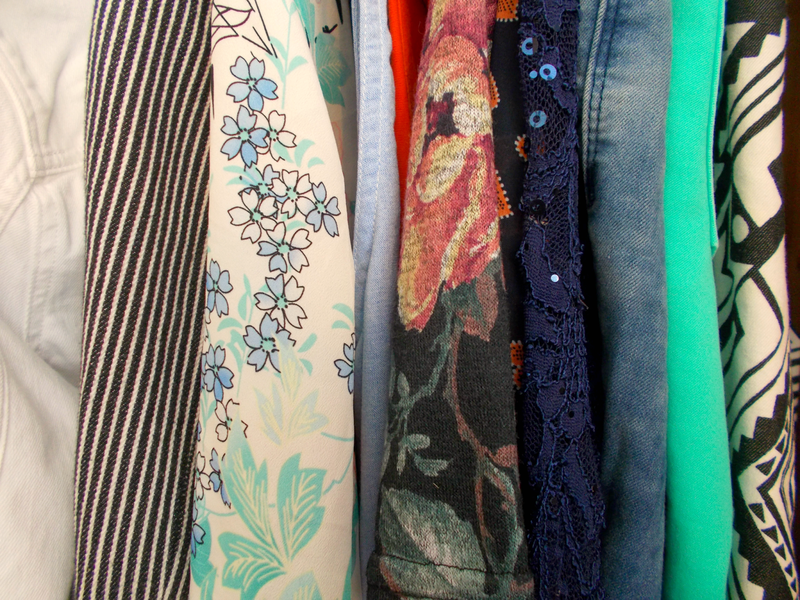 Fill your wardrobe with 'feel good' clothes! Think about why you're not picking up that hanger. Is it a case of something that needs stitching? Does the piece just not excite you anymore? A while back I had a checked shirt which I outgrew. It had studs on the shoulders so I cut them off & stitched the two patches onto a pair of denim shorts et voila, revamped! Has the item got a stain? I'm honestly such a mucky pup and I'm forever spilling things down me (no joke, I spill my tea pretty much everyday) so as you can imagine, I've racked up an impressive amount of stained clothes in my wardrobe. Vanish recently sent me some products to try and solve my problem. 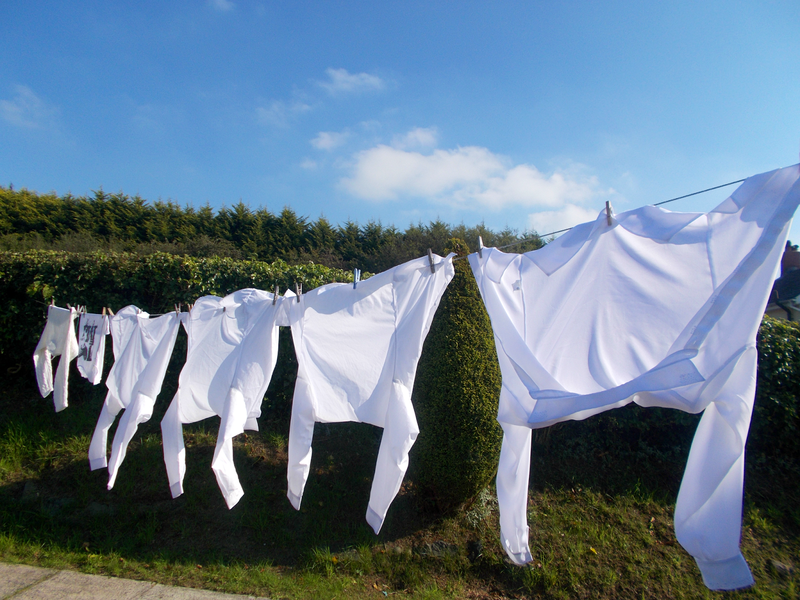 They've worked a treat both for removing stains and completely refreshing those whites that had been looking kinda grey! It may sound odd but there's something really satisfying about scrubbing those stains away. In a way it feels like getting new clothes! As an avid charity shopper, with the help of Vanish's stain removal tips I can now consider buying clothes with stains because I know I can sort them out when I get home. 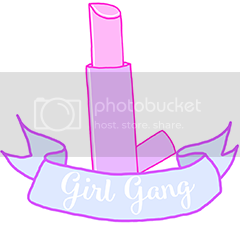 Check out their website to see what you can revamp and how! So now you've got control of your wardrobe again, you should probably think about the best way to organise it. Maybe how you've got everything laid out at the minute isn't working for you and that's why so many pieces are just sitting there abandoned. You might want to consider storage pieces you can fit in such as shelves or racks. I have a vertical stack of shelves which hangs in the middle of my wardrobe and it makes it so much easier to see what you're looking at! Also, I've found that rolling clothes instead of folding them is a good way of fitting more into a space. Oh and don't forget about things like accessories and shoes - could it be worthwhile investing in a storage unit of their own? 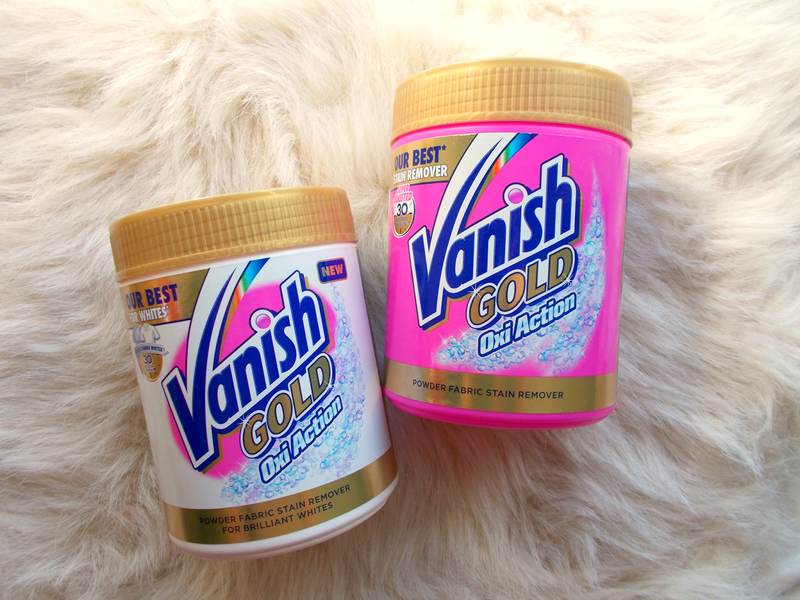 When Vanish offered me the opportunity to give away their Gold for Whites & Gold Oxi Action powders, the reason I said yes was because I know that I have a diverse range of readers - everyone from students to parents & everything in between. I can see that these products would benefit anyone as they're household essentials! 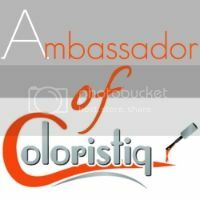 The only mandatory entry is visiting my blog's Facebook page but you can also gain more entries by completing the optional tasks. This giveaway is only residents of the UK & Ireland only. Please read the terms and conditions! Well I hope you found this post helpful & I wish you all good luck in the giveaway! 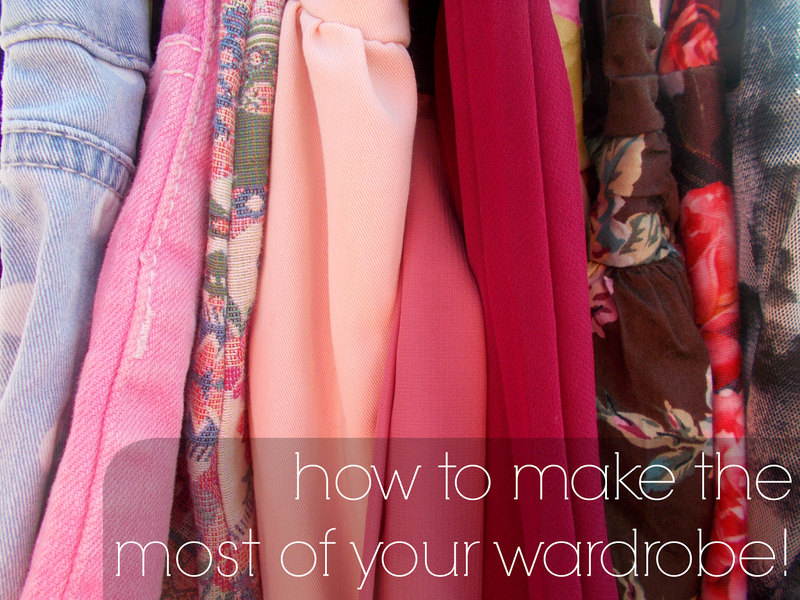 Get involved in the comments below and let me know your tips for making the most of what's in your wardrobe! I was sent the Vanish products to try with the intention that if I liked them, I could hold a giveaway. I have not received monetary compensation for this post & all opinions are honest and my own.